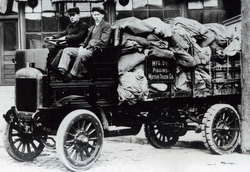 A high vehicle with a vertical steering column, where the driver's feet were directly over the engine: examples of bodywork include the flatbed trucks, with and without load-securing stakes, and the flap-side (Rapid Transit Co.) truck in the brochure. 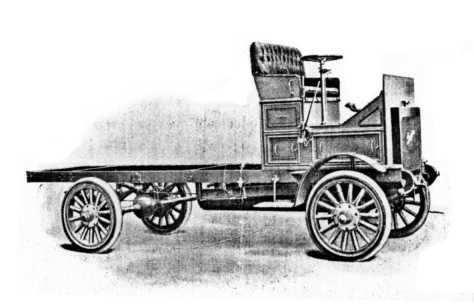 It had a four-cylinder engine available in various bores, and its 41-inch-wide chassis could be extended backwards to carry a maximum of five tons on a vehicle 18 feet long. 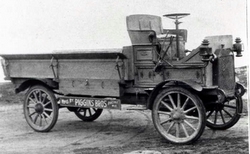 A lower, more agile vehicle, evidently derived from the touring car, with an oblique steering column, where the driver sat behind the engine: the ambulance/hearse shown in the brochure is of this type. 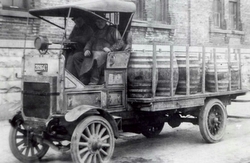 The sanitary ice-cream truck also appears to belong in this family, although its front axle has been moved from the forward end of the chassis and has been placed under the engine, giving it a shorter wheelbase to suit city streets. 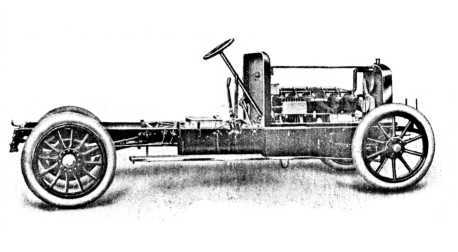 This series generally had six-cylinder engines.